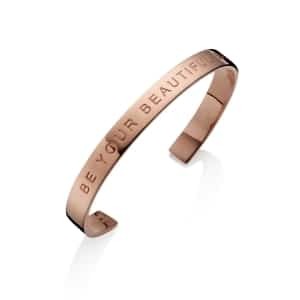 This beautiful beaded edge polished Rose gold bangle makes a great gift for a 40th, 50th or any special birthday. Dare to be different with the Under the Rose Signature Logo Bangle. 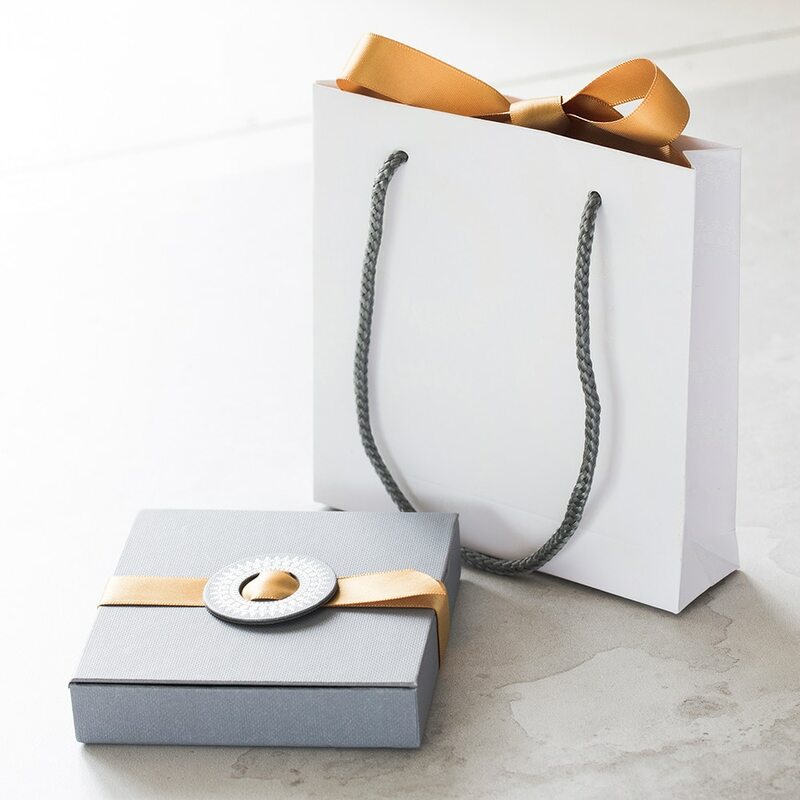 A stunning piece of jewellery for those who adore the inimitable lustre of Rose gold, it is handmade to order, skilfully embellished with decorative edges inspired by our very own logo, and beautifully presented in a luxury gift box ready to delight the recipient. A highly wearable piece of jewellery that can be dressed up or down to complement any outfit, our Signature Logo Rose gold Bangle can be worn solo for a chic and sophisticated daytime aesthetic or stacked with other bangles and bracelets for a stunning evening look – the styling options are infinite.